Jordan is a country rich in history, culture and natural beauty. Citizens of some countries can travel to Jordan without a visa while citizens of most other countries can get a visa on arrival to Jordan. Read on to find out more. From ancient cities to an expansive desert, there’s plenty to explore in Jordan. The country is home to warm, welcoming people and offers a rich cultural experience. In 2017, almost 4.2 million tourists visited Jordan to explore its culture and heritage. Tourism contributes to about 10% of Jordan’s GDP and hence the country has a welcoming visa policy. Why You Should Visit Jordan? One of the top reasons people visit Jordan is to float on the Dead Sea and to snorkel in the Red Sea. For history buffs, the city of Petra is a must visit for its UNESCO World Heritage sites. 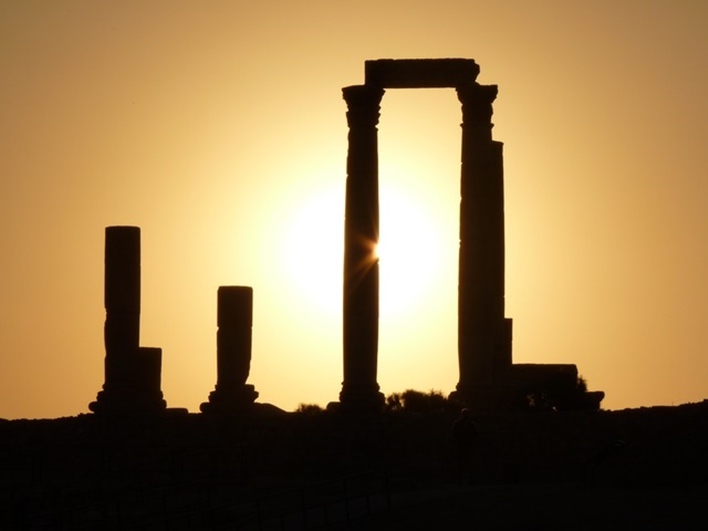 Jordan is also home to a number of monuments from the Roman Empire. For foodies, Jordan offers a wide variety of flavours and street foods. Citizens of Turkey, Lebanon and the Gulf Cooperation Council can stay in Jordan without a visa for up to 3 months during a period of 6 months. Similarly, citizens of the Palestinian Authority and Egypt can stay in Jordan for one month during a period of 6 months. Israelis can enter and exit Jordan multiple times and stay in the country for up to 1 month during a period of 6 months. Citizens of other countries will need to apply in advance for a multiple entry visa. Tourists from over 120 other countries are eligible for a visa on arrival in Jordan. Vanuatu. Argentina , Bolivia , Brazil , Chile , Ecuador , Guyana , Paraguay , Peru , Surinam , Uruguay, Venezuela. Citizens of most of these countries can get a visa on arrival if they have a residence permit issued by an EEA member state, Switzerland, Australia, GCC Member States, Japan, Canada or South Korea or a permanent resident card issued by the USA. These permits should be valid for at least 6 months and the tourist must have a non-refundable return ticket. People from some other countries like Nigeria may get a visa on arrival for medical treatment if they are younger than 15 years or older than 50 years. A visa on arrival allows the holder to stay in Jordan for up to 1 month. Tourists may be given an extension of 60 days on this visa. For this, they must register themselves with the Jordanian police station before their 1-month time limit expires. To extend one’s stay, an HIV/AIDS test is also usually required. The photograph must not be damaged in any way by staples, glue, tape etc. The application and supporting documents must be submitted at the Jordanian Consulate. It usually takes 3-15 days to be processed. How To Get A Tourist Visa For Egypt?